Ruka begins pondering the gravity of her situation now that she ran away from her idol agency, but thinks she can overcome her massive debt by becoming a manga-ka. 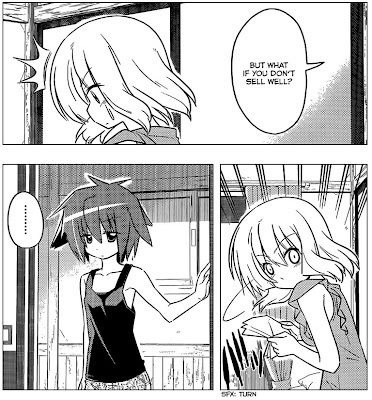 Yukari-chan House resident Kayura walks in with a tale of her parents being the assistant of a manga-ka, but never making it on their own, thus having their dreams crushed. As such, Kayura states that being a manga-ka is harder than being an idol and refuses to listen to Ruka’s defense since Ruka is here instead of doing her job. 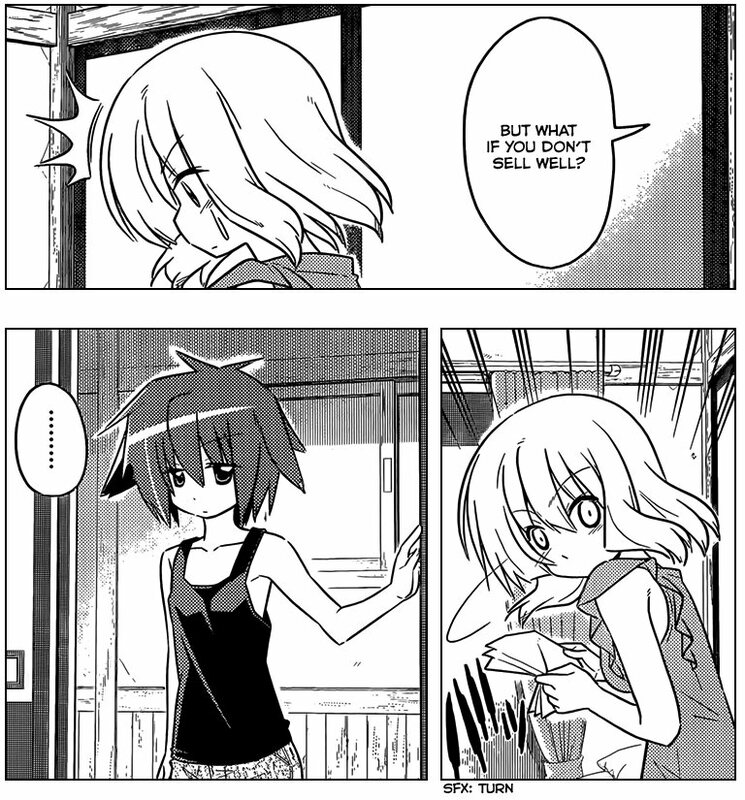 Ruka enlists Hayate to sneak to her apartment and get some things, but discovers Ruka’s manager there waiting for him, having anticipated Ruka’s running away and her going to Hayate. She informs Hayate that Ruka can stay at the apartment house for two weeks, but then must abandon her manga-ka dream as she owes the company over ¥150-million. Tearfully, Ruka’s manager states that she will not let Ruka be taken from her, nor quit being an idol. After leaving Ruka in Hayate’s care, her manager leaves. Back at Yukari-chan House, Father Radiostar has figured out the problem with the apartment house. 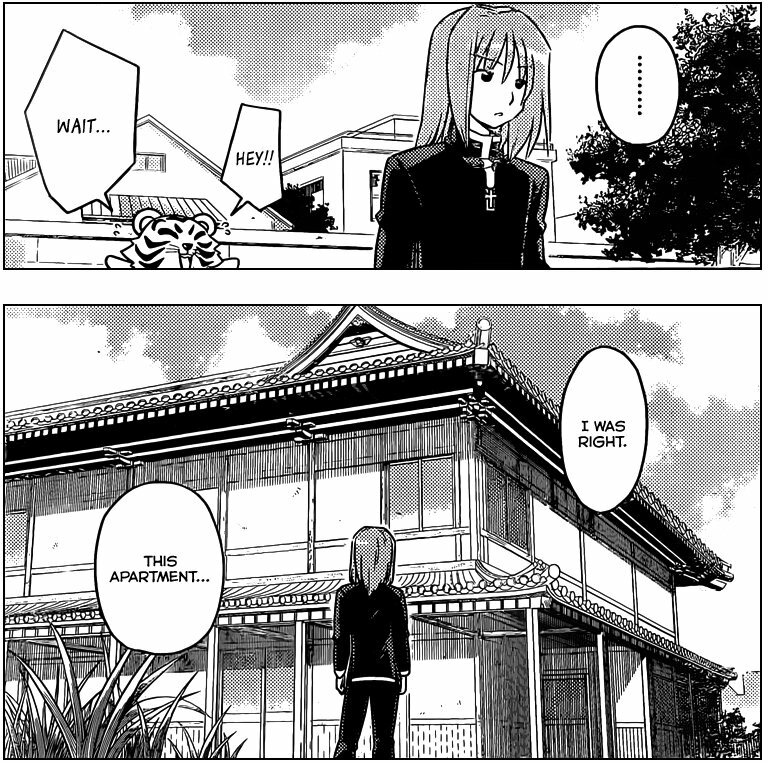 Since I haven’t read to the point to where Kayura is introduced, I don’t know anything about her or why she’s part of Hayate’s circle of girls. 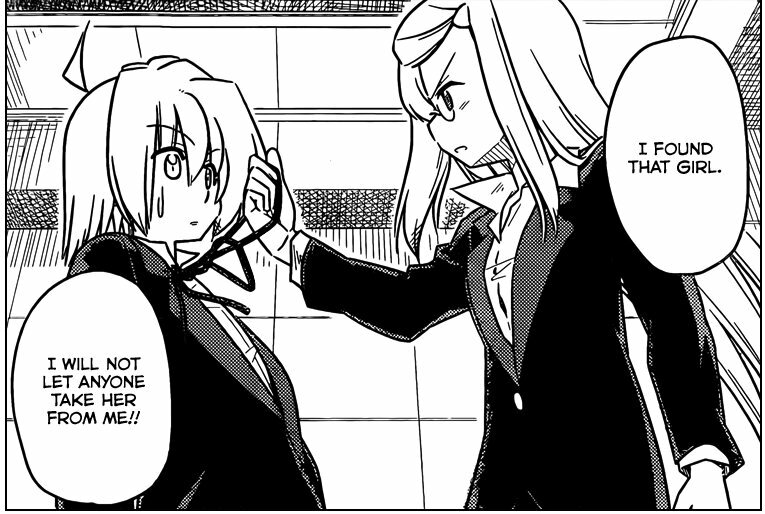 That said, Ruka is acting impulsively, and Kayura is a slash of reality. As to Ruka’s manager, I keep thinking back to the White Album anime series (I never touched the visual novel), where the idol Yuki’s female manager made sure that NOTHING got in the way of her young charge, thus Yuki’s manager was willing to do ANYTHING to make that happen. 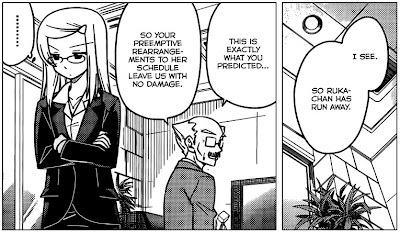 Here, she’s accurately predicted what would happen, both in terms of Ruka fleeing and Hayate showing up to get Ruka’s things. At this point, all she’s shown Hayate is that (1) she’s well aware of what’s going on and (2) crocodile tears. The later is an assumption on my part, but I think a darn good one. It wouldn’t surprise me if Hata-sensei has this manager try to seduce Hayate as well. As to Father Radiostar, I had expected a joke about whatever he discovered, but now I’m not so sure. Again, it should be fun finding out.